This is the first of four articles that outlines Jamie's approach. Regardless of your chosen path, I think that Jamie's methodology has a great deal to offer all martial artists and that these articles will be very useful in getting people to analyse their own training and methods. I'm very grateful to Jamie for continuing to share his knowledge with members and visitors to this site. Many martial arts veterans look back on their early training with nostalgia and it is not hard to see them still holding true to what these early day taught them. When I look back to my early days, however, I probably owe more to what my lifestyle was before I first became enchanted by the colourful world of martial arts. I grew up in a travelling circus community among hard-working people who spent more time working with their hands than anything else. It was in this environment where I heard the word “common sense” regularly uttered as the ultimate reason why you should not do something that was obviously stupid or unnecessarily dangerous. This word popped up again at school, mainly in the form of stern lectures. There was always something grounding in its usage, something that made sense not necessarily because of the apparent logic being argued, but because it just did. Today my students and I go back to common sense every time something in our training or research just does not gel. 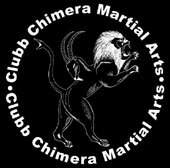 It is therefore placed at the beginning of the CCMA (Clubb Chimera Martial Arts) “Process” and is then followed by principles, strategies and tactics. There is no easy way to define common sense in general terms and yet we assume it is something we all should intuitively know. Common sense, to most, means natural pragmatism and efficiency based on simple and unmistakable truths. To others, however, it might mean an inflexible and dogmatic attitude that stifles progress by not considering other lines of thinking. It is pretty much down to how the term is applied and is used and misused. For the purposes of this article and “The Process” that my schools follow, common sense is accepted as the simple short-term solution born from “gut instinct” that utilizes a principle to produce a strategy, which, in turn, dictates tactics. However, its criticism is not simply thrown out, as CCMA holds a strong stance against prejudices, and “Common Sense” is balanced against our fifth tenet, that of “Open Mind”. By being commonsensical and keeping an open mind, it is my intention that the technique-free syllabus of CCMA will never ossify or stagnate and my students will be both pragmatic for themselves and progressive thinkers. Intuition and instinct are aptly described, dissected and detailed in Gavin De Becker's often praised and more often quoted “The Gift of Fear”. He gives it more justice in his extensively researched work than I can deliver in this particular article, but I will give you a brief idea of how he demystifies and therefore validates “gut instinct”. First of all we all have intuition. However, we frequently impede it with the rational part of our brain. Because most of us are not regularly exposed to life-threatening situations we immediately question that “gut feeling” when it starts warning us of peril in an otherwise not apparently dangerous situation. It is my view that all of this comes under the heading of common sense. Common sense is our individual and intuitive reasoning born out of our own life experiences. Any artificial form of conditioning, drilling or training we choose to undertake must be a natural extension of this instinctive system. I am definitely not saying that principles are not very important. I believe that solid principle-based training is definitely the way of the future for self-defence and martial arts, and I will discuss the benefits of principles in my next article. However, principles can be found wanting, limited and partial in application if common sense is absent or ignored in favour of them. Because humans have intellectualized just about anything they can articulate in words, it is little surprising that we hear the argument of “putting principles before common sense”. Businesses, relationships, financial savings and, for that matter, our lives should all be governed by long term goals, which need robust principles in place. However, as the old saying goes, short-term will always push out long-term and this is never more evident than in a crisis. It is completely reprehensible that we should fear for our safety from fellow human beings just because we have entered a certain bar with a reputation for violence. Yet common sense dictates that in most cases it would be better that we avoid such bars to reduce the likelihood of being involved in a violent encounter. It is very wrong, as Ellen Snortland points out in her book about attitudes towards women's self-defence, “Beauty Bite Beast: Awakening the Warrior in Women”, that anyone should ever say that a raped woman was “asking for it”. Society does need to further change its attitudes towards women and not to just think of them in terms of being vulnerable individuals who need to be protected exclusively by men. Yet, for the time being, I would not consider myself to be a responsible self-defence teacher if I were to tell my female students that they should walk down dark alleys at night on their own and intoxicated because it was their right to do so. The principle may be right, but common sense dictates that there may be safer and probably more effective ways to make their point. 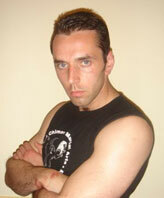 Every martial arts system has a certain set of principles that gives it a certain flavour. Scientific arguments are often put forward to support one martial arts system over another. This is a good demonstration of how principles can produce good sound arguments, but at the same time how, from at least a teaching point of view, they can become divorced from real life by neglecting the strengths and weaknesses of the individual. 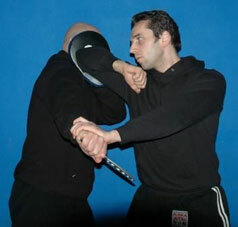 For example, Newtonian physics determines that martial arts such as Wing Chun and, in particular, Hsing-I might use superior combative principles over arts such as Aikido and, in particular, Pakua, based on the fact that the former group extensively uses a linear approach and the latter a circular one. The quickest path from point “a” to point “b” is a straight line and force, even so-called circular force, wants to travel in a straight line. It certainly works for me and for this reason my right cross, reverse punch, straight palm heel strike and so on are my preferred techniques. I am most comfortable using straight line tactics. It was while I was attending my instructor's course in Mo Teague's “Streetwise Strategies Tactics Techniques” (aka Hard Target) self-defence that I thought again about how to teach individuals. Straight line strikes might be fine for a good percentage of people, but there are also a fair number who naturally have a preference for a hook. This might come in the form of a haymaker or an ear slap. I always think of civilian self-defence today as being taught in the context that you should be able to train someone in a very short length of time high percentage tactics that they can use under extreme pressure again and again. What Mo pointed out was that his programme would often be geared towards members of society who were passive and felt vulnerable. As Ellen Snortland and Gavin De Becker point out, women have been institutionally programmed to be passive and not to fight thanks to societal conditioning. Therefore so-called “manly” techniques like direct punching are rarely considered to be the sort of thing the average little girl is supposed to learn whilst growing up. When they do fight, however, women do have a surprising amount of versatility and naturalness compared to men. This possibly comes from a maternal rage, more geared towards survival, than the alpha male fighting approach that seems to dominate men. However, if we return the passive institutionalized woman we find that for some reason, many (although not all) women have far more experience using an open hand to the side of the head than they do a straight strike. Therefore, taking its main clientele in mind, the “ear slap” has become SSTTM/Hard Target's chosen primary attack weapon. Without being patronizing, if we work on the premise that we only have a short space of time to train an effective response, surely it is better to refine, cultivate and generally improve an already learned high percentage technique than to introduce a new one. CCMA trains all what have been proven to be high percentage techniques, but would rather put our students in situations where they show us what they use efficiently under pressure. Some times students adopt new methods, finding that they serve their means better whereas others seek to improve what has always worked best for them. I have not seen a clear correct answer, but seen some remarkable things happen in pressure-drills and especially when pre-emption is called for. Some people manipulate blind sides effectively whether it is dropping below the eye line or to the side for curved strikes, others can fire off the straight strike quite confidently. A similar situation exists with regards to whether we should hit with the fist or the open hand. There are strong logical arguments for both options - these will be discussed in future articles - however, CCMA applies the same process of guiding the student to find out what works best for the unique individual. Common sense will always be an ambiguous concept, but in self-protection terms we can see it as an instinctive and intuitive part of a process that will lead you to develop principles and set up your plans. Dennis Jones once said to me that when anyone comes to him to learn self-defence the biggest obstacle that stops them from actually applying their training is the simple fact they have got to this stage in their life using methods he hadn't taught them. Therefore their intuition has served them well up to this point. By taking this view I believe it is a far more productive path to build upon individual experiences rather than to just try to forcibly programme in new instructions. Pressure-testing is a good starting point, as it brings out so much truth in a person's character, so they can acknowledge whatever flaws they may have that might prevent them surviving a violent encounter and make the necessary natural adjustments. Many might argue that it is subjective whereas starting with principles seems to offer a more objective approach. However, this is the point. Civilian self-defence for the person on the street is down to individuality. Whatever methods a person adopts they need to be organic extensions of their character if they are to truly believe in them. CCMA holds that techniques are a personal and organic expression. They must be natural and believed in because the individual has been empowered to develop them. Common sense dictates that the first thing you should use is what you already know, so a good teacher builds upon this. In other words, find your natural attacking tool and providing it is a high percentage method you pull off pre-emptively, in repetition and with enough force, refine it to become more efficient and effective for you. Such an approach is summed up in CCMA's motto: “For reality and individuality”.